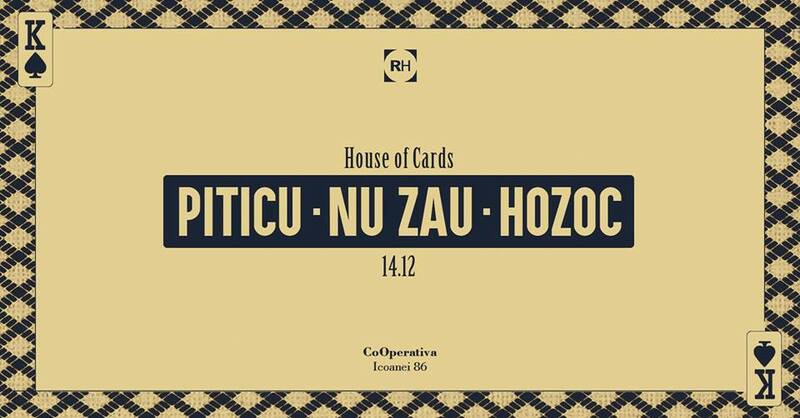 -Pe 14 Decembrie suntem All in cu Piticu , Nu Zau si Hozoc . Born and raised in the beautiful Bucharest, he comes to the dj booth with an individual way of phrasing the sounds of minimal, house and techno. Nu Zau is one of the leading producers and dj’s that have come out of Romania’s electronic scene in the past few years. Inspired by already well established names such as Ricardo Villalobos, Rhadoo, Thomas Melchior and many others,he’s grown into a romanian household name in a very short year span. Dark, percussive, funky and quirky would be the best way to describe his sound, already having releases on various labels, he’s signed EP’s, individual tracks and remixes on labels such as Fear of flying, Aeternum Music, Memoria Recordings . In time a new label vinyl project is created by the name of Uvar, which he co-runs with fellow romanian Sepp.